Mumbai-based InfoCredit Services Pvt Ltd, which operates credit scoring platform CreditVidya, has raised $2 million (Rs 13.3 crore) in a Series A round from Kalaari Capital. The company said in a statement that it will use the funds to augment its technology backbone and launch additional products that help lenders approve more customers, minimise fraud rates and accelerate verification processes of potential customers. “Credit scoring is a major bottleneck in India inhibiting social and economic growth,” said Bala Srinivasa, ‎partner at Kalaari Capital. 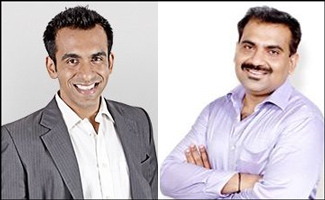 CreditVidya was founded in 2013 by Abhishek Aggarwal and Rajiv Raj, who both have previously worked with Experian Credit Information Company India Pvt Ltd. Raj has also worked with Credit Information Bureau (India) Ltd and HDFC Bank. The startup uses non-traditional data sources to assess the credit worthiness of individuals seeking loans, and charges lenders for each customer. Lenders benefit from higher approval rates, lower cost of underwriting and more effective product cross-selling. The company didn't divulge the total number of lenders using its services, but it counts Fullerton India, Bajaj Finserv, IDFC Bank, Tata Capital and Shriram Housing Finance among its customers. It has also garnered interest from insurance companies, e-commerce companies and e-wallets and is in advanced stages of talks with a leading private bank and a PSU bank. “As and when Indian consumers transact online, they deepen their digital trail and it provides us a unique opportunity to leverage non-traditional data sources to estimate the customer’s ability to repay and intent,” Aggarwal told VCCircle. According to Aggarwal, their assessment mechanism works the best where an individual has no credit bureau footprint. Where such data is available, CreditVidya’s rating supplements the traditional credit score and helps in faster lending decisions. The company currently has 35 employees across its Mumbai and Hyderabad offices. It aims to add 35 more employees and assess 1 million consumers by the end of this financial year. According to co-founder Raj, about 80% of Indian has no credit bureau footprint because they have never applied for any loans. He estimates that India has around 350 million consumers with annual earnings in the 2-5 lakh range and banks do not extend loans to these people because of the lack of a credit score. “The biggest challenge for vendors is when they have no information on customers who are new to credit,” Raj said. He added that 80% of approved loans last year were for people with a CIBIL score of 750 and above. Likewise, 30% of loan rejections were attributed to applicants who never had a CIBIL score, he said. CreditVidya joins a number of financial-technology startups in raising funds. Last month, online investment platform Goalwise raised $1 million from affluent individuals while online peer-to-peer lending platform i2ifunding secured Rs 2 crore from a group of angel investors. In April, digital payments firm TranServ Pvt Ltd raised $15 million in its Series C round of investment led by venture capital fund IDFC SPICE and consumer electronics maker Micromax Informatics Ltd. The same month, online lending marketplace Deal4Loans raised an undisclosed amount of funding from a bunch of investors.